I'm leaving for Cairns, Queensland, Australia for an adventure of a lifetime courtesy of Philippine Airlines. I will be visiting the Great Barrier Reef! I've only been reading about one of the biggest reef systems in the world in science books and it has never crossed my mind that I will get to visit it one day, but truly, dreams do come true. 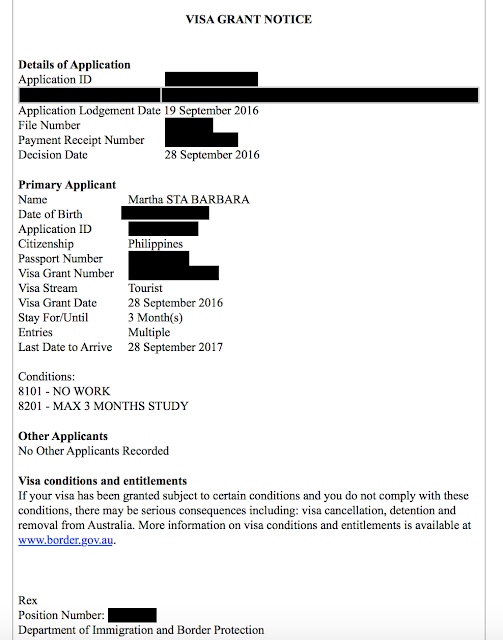 I have secured my approved visa two weeks ago and I thought of sharing the process of application for Australian Tourist Visa in the Philippines today. Why visit Australia? Personally, if there's another country that I'd love to live in aside from the Philippines and Japan, it would be Australia. Because it is abundant in flora and fauna, perfect for the nature lover in me; I need nature that's why even if I'm having a love-hate relationship with my country right now, I would still want to live and die here at the end of the day because the Philippines is blessed with the best natural wonders. Fill up the forms promptly and no erasures, please. Update: VISA Checklist form has been updated; you will be handed the updated version in the visa processing office so no need to download this form. But if you want to be sure, download it anyway. 2. Photocopied and notarized pages of my old passport with proof of travel to Japan and Australia. You can present proof of travel to or visas from OECD countries if you have any and Japan and Australia are one of them. If you are traveling with your family or other people and lack any of the documents, for example, ITR, file copies of Affidavit of Support from your family/group and other primary documents from them, particularly Business Registration, Bank Certificate, and Certificate of Employment. 1. Walk- in- go to VFS Global and file your documents. 2. Courier- ship your documents and forms to VFS Global. Prepare one way fee of P1,115.00 for the pick up. Cheque must be paid to VFS SERVICES PHILIPPINES PRIVATE INC. Personally, I always prefer walking in when filing visa applications. The address of VFS Global is Mezzanine floor, Ecoplaza Building, Don Chino Roces ext., Makati City. Office number is 790-4900. Australia Visa office can be accessed via an external escalator at the driveway of the building. IMPORTANT: Filing of Australian Visa application is from 8AM-4PM only. That's it! 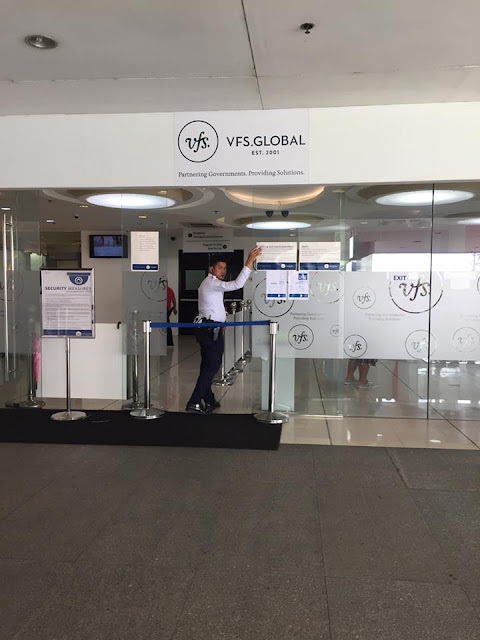 You will be issued a ticket that you should keep as it contains the reference number that you will use at VFS Global's website to track the status of your application. To save time, resources, and money, I opted for the visa grant to be emailed to me. Someone from the Australian Embassy emailed the grant to me. 1. Processing of my visa application took 10 days only. But still, it's best to apply 1 month before your travel date. 2. 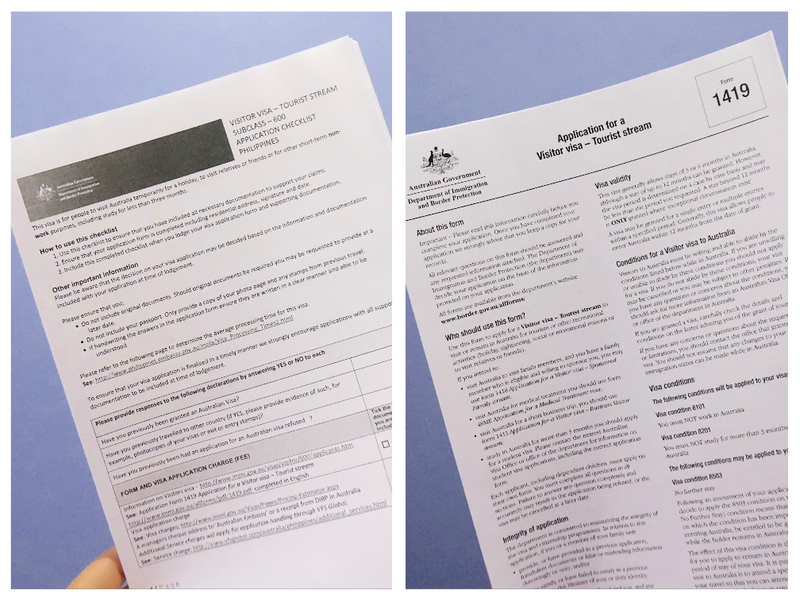 To be sure, print a copy of your Australia Visa Grant and bring it with you to the trip. 3. If you are going to file your documents personally, you have to leave your items in a locker at the VFS Global office. No bags allowed inside the Australia Visa application office; only the necessary documents, pen, and cellphone (but cellphone usage is not allowed inside the office). Locker charge is P75.00. 4. Don't buy tickets before you get the result of your application! 5. Processing fees are non- refundable if your application is denied. 6. Bring government IDs like GSIS and SSS for the checklist form. 7. Always best to have at least 6 digits in your bank account for the bank certificate. Hope you found this entry very useful. 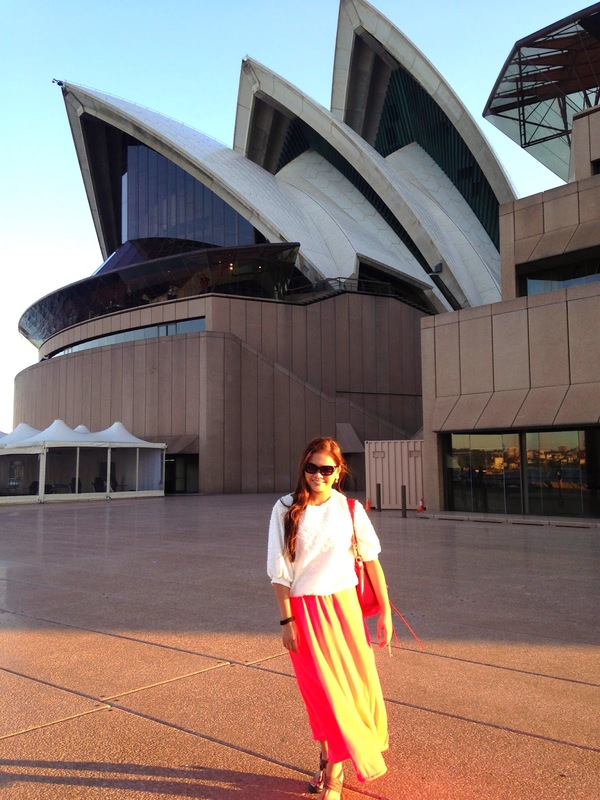 Many thanks to Maye of The Travel Junkie for helping me out on my application- it's been three years since my first visit to Australia and I've completely forgotten about the process already LOL. Great Barrier Reef, here I come! Hello! I have COE issued by my agency. :) Not sure about the rule for freelancers, but I think it's best if your relative/s can show a proof stating that they have something to go back to here (Even if freelance) like a work MOA. 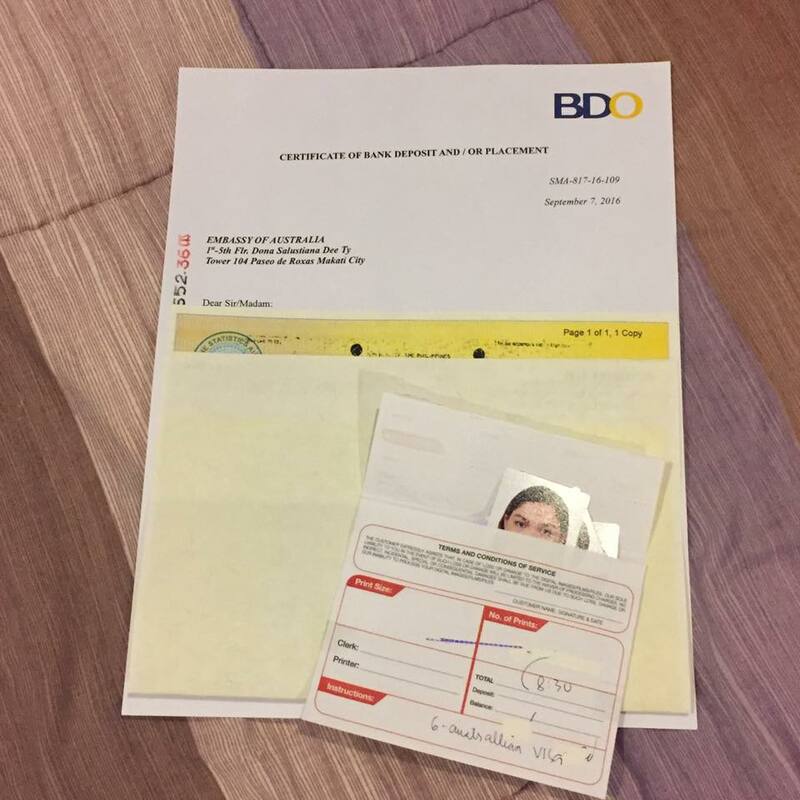 Bottomline, there must be a proof of strong bond of the applicant to the country. I can't wait for your travel post :D Have a safe trip! I know how to apply and did those paper works as well, got the same emailed Visa Grant! My Boss got his Visa on time! no hassle at all because they will just email it to you through your agency! We paid 7k ++ Ang mahal! And you just get a 2-pc paper :( not like other Visa na colored and will be glued in your Passport! Australia is one of my bucket list. Even I want to travel, I don't have this kinds of document to present since I'm still a student.😭 I'm just going to wait to graduate have a work and travel. Can't wait for your post about Australia! Enjoy your trip there. Thank you for this post Ms. Martha! So excited for you! I'd love to go to Australia too (maybe someday). Have a safe trip! Hi! I like this post. It is quite helpful but i have a quick question though. My boyfriend is Australian and we plan for me to visit his country by June. Do i still need a 6digit figure in my bank account? Or is his letter of invitation and financial proof that he can support my stay sufficient? I do have money in my bank and i have work and can present all the documents stated above but im just apprehensive about how much more should i save before i lodge my application. Thanks! Lovely post Martha!! Elaborately put yet simplistically explained. I am glad you put out the step-by-step guide. Thanks for that. I am midway doing my visa application and have hired professional services of DMS @ http://dmsmigration.com. I have been informed about the process more or less the same and best part is my documents are ready early on. Thanks a ton for putting up this post, that is motivating, and dips my anxiety levels ;-)! I hope you can help me. I have a question. I’m filling out an online application form and I’m being asked what is the relationship between me and the one who will support my travel. Since my boyfriend is the one sponsoring my trip I was hoping I could choose “friend” to best describe the relationship. I could’t find friend on the drop down list. Do you know what could be the problem? Did I miss anything? This is page 13/20 on the form. Thank you!